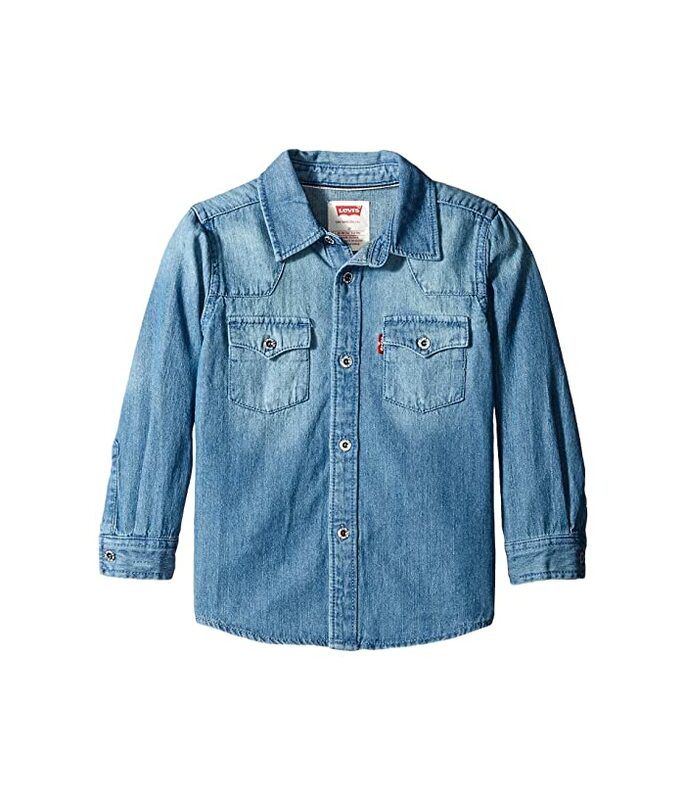 Your little guy will feel like a cowboy in the Levi's® Barstow Plaid Western Shirt. Comfortable denim lends a classic Western look. 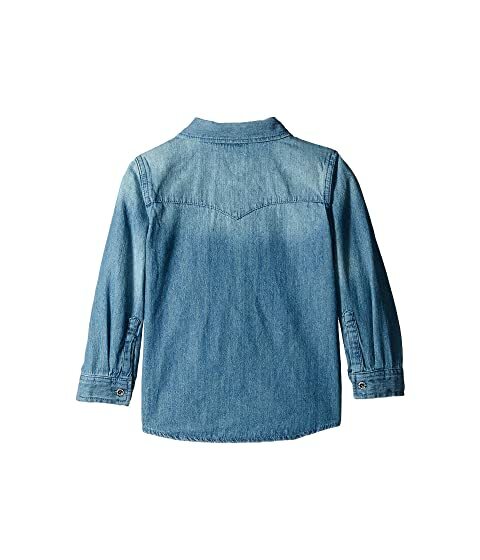 Pointed front and back yokes create a Western-look.